We all enjoyed a fascinating evening with Kirsty Whitlock last Monday. 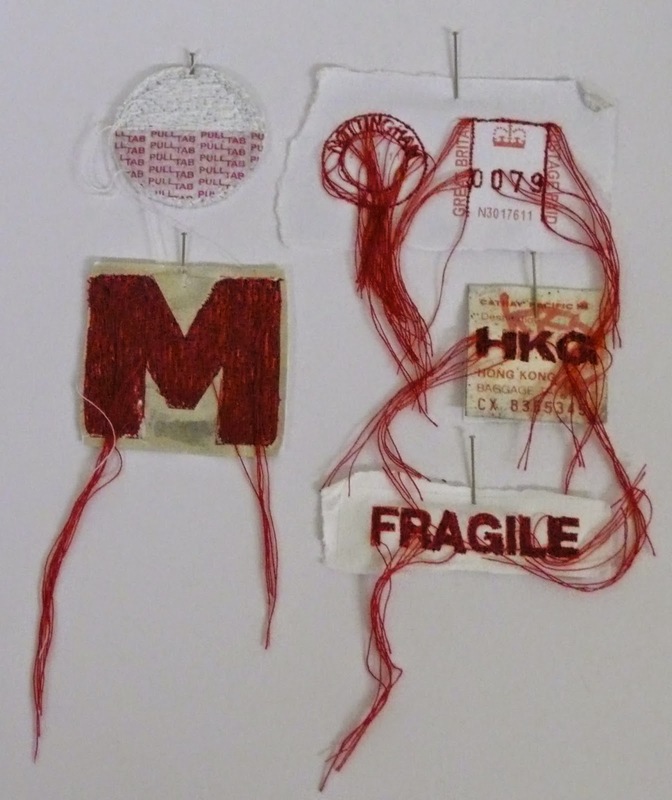 Kirsty, an Embroiderers' Guild Scholar, showed us how she uses everyday items to create innovative and thought-provoking embroideries. 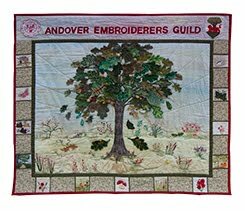 Describing herself as a textile and mixed media artist, her work ranges from incorporating familiar artefacts to creating original designs in paper, print and fabric. 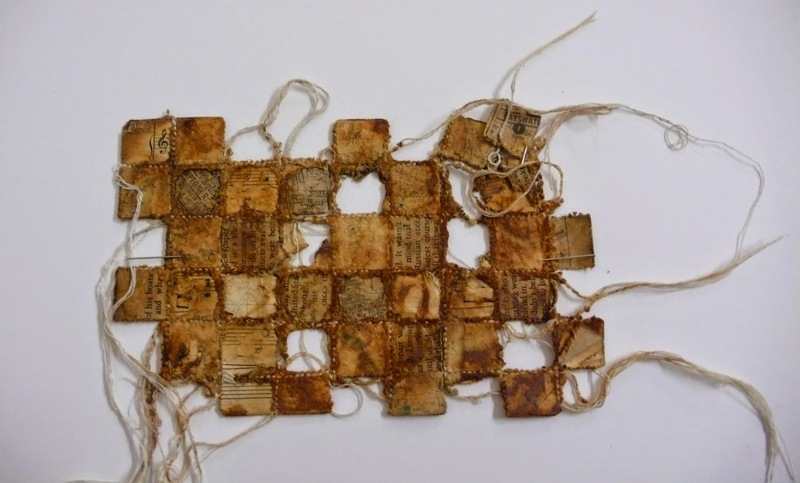 Kirsty took us back to her roots, explaining that she had always been creative, however at school, the teaching had been heavily design-based with little practical time, which lead her to have a fear of the sewing machine. Fortunately, this didn't stop her studying art and design and exploring graphic 3D design, textiles and fine art at college. At De Montford University, Kirsty studied Design and Craft and graduated with a First Class Honours degree. She really enjoyed working with paper and experimenting with various staining techniques to produce some exciting pieces. 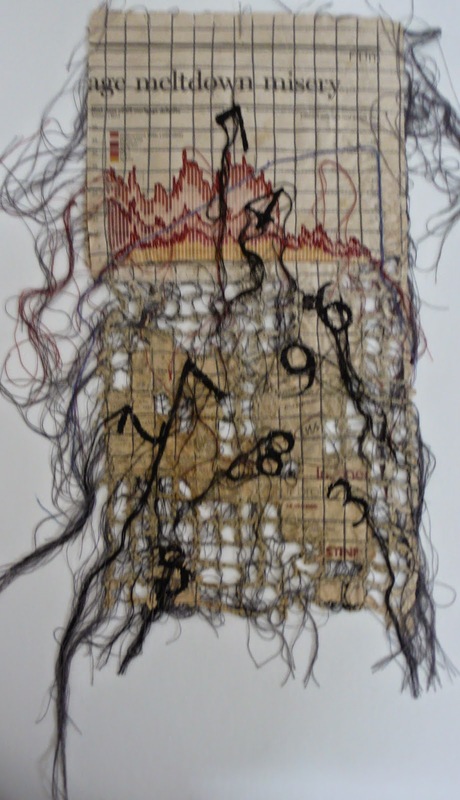 She used all sorts of paper and started using the sewing machine again, as a drawing and mark making tool to transform her work. Kirsty told us that she is always looking for new tools to enhance her work and explained that she had even used gerbils! After gasps of astonishment, she explained that they were very good paper shredders, so visions of gerbil paintbrushes or worse, were quickly set aside! 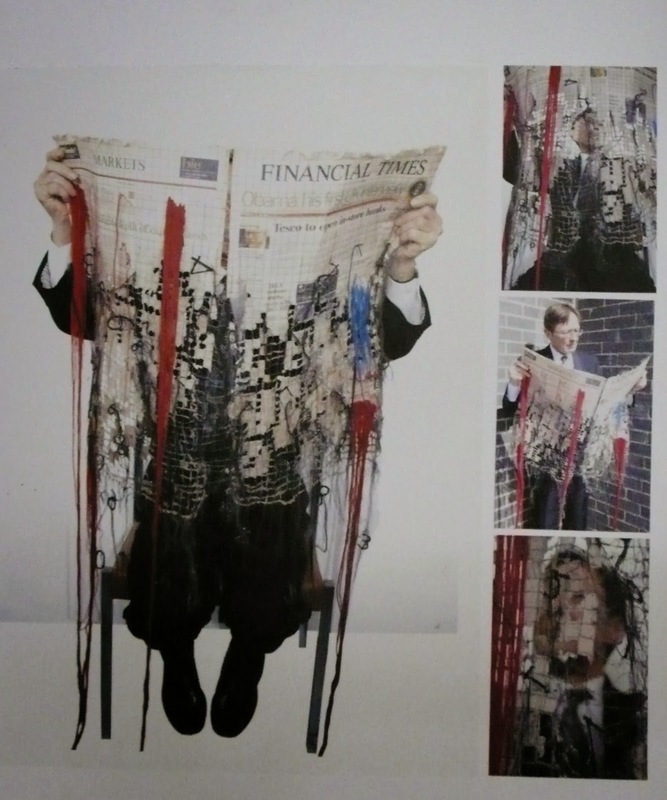 Kirsty also uses her work to draw attention to contemporary issues and affairs. 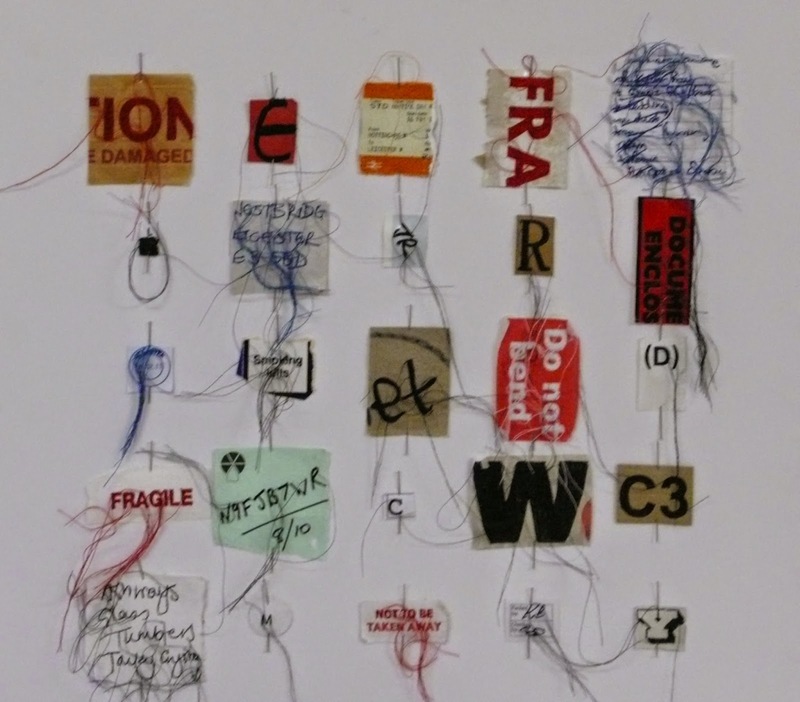 Her use of typography is particularly effective and adds depth and texture to her embroidery. Her machine embroidery is inspirational and filled us with new ideas. Many thanks Kirsty, for a stimulating talk and for sharing some very contemporary ideas with us.